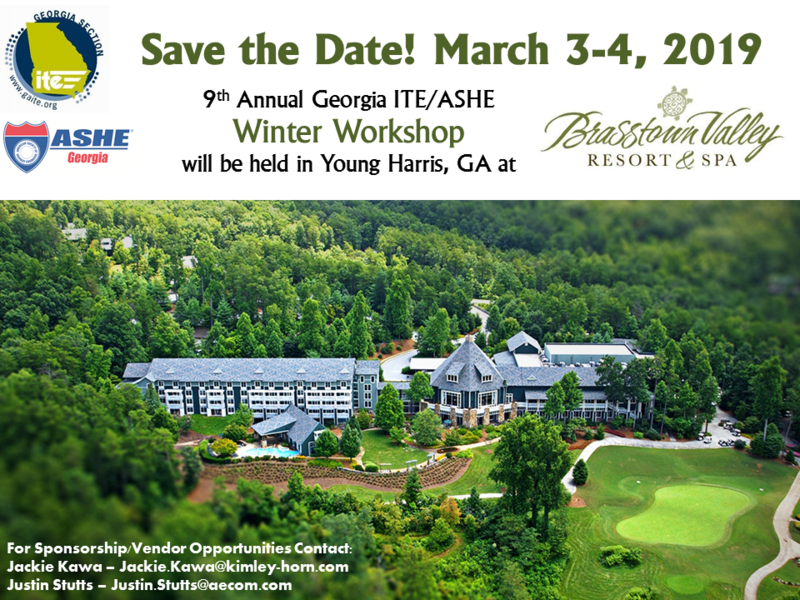 A joint conference held by Georgia Section ITE and the Georgia Chapter of ASHE, the Transportation Winter Workshop is a 1 ½ day event held each winter. Containing technical sessions, group projects, networking, and social events, the workshop is packed full of opportunities to gain technical knowledge and meet other transportation professionals! The early registration deadline for this year's workshop is Friday, February 15th, 2019. Direct your questions and comments for this event to Mark Hanson (MHanson@CPLteam.com).